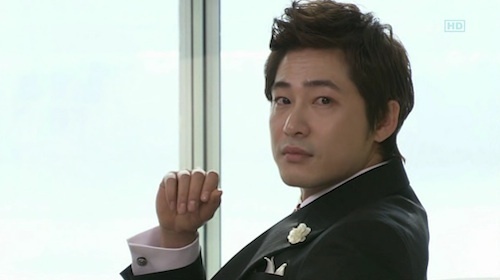 Kang Ji Hwan, why you so gorgeous?! When are we going to see Ki Joon brood in the shower? 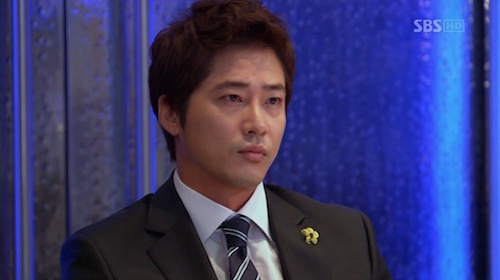 This entry was posted in Drama Thoughts, Spazztastic and tagged Kang Ji Hwan, Lie to Me by doozy. Bookmark the permalink. Classic! And not to mention a very valid question. LMAO x) I think you and E.G. 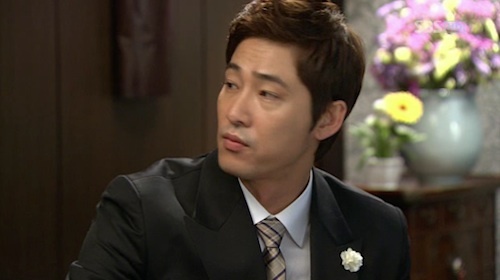 will have much to talk about seeing how she also likes Kang Ji Hwan. 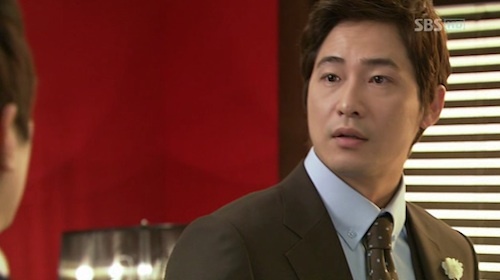 I first saw him in Hong Gil Dong but the series I saw him in that I really liked was Capital Scandal. Haven’t gotten around to watching Coffee House… I think his charm is starting to wear off on me but for the life of me, I don’t recall having seen this guy do a shower scene. The task of taking the screencaps itself isn’t too bad when compared to selecting which ones to keep and which ones to toss, especially if they’re all so purty. The first time I saw him was in Exhibition of Fireworks, and although he was the best part of the show, the whole thing was a total dud so KJH was quickly forgotten. Then came Hong Gil Dong and the perm didn’t do much for me. As for Coffee House, I watched episode 1 and didn’t like how it was too loud, from the characters yelling at each other to the bold colors used to dress the drama. And here comes Lie to Me… His character is standard stuff, nothing new but dang it, he’s smoking hawt! There’s something about clean-cut men in tailored suits that gets me every time. Oh man, totally forgot about Exhibition of Fireworks—and to think I watched that too—you’re right, it was rather bland. I tried watching Coffee House but the first episode failed to capture my interest. I remember lots of shouting over whether or not to break the doorknob to the toilet as well. 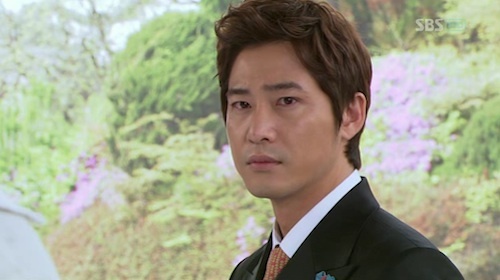 My friend still swears by Kang Ji Hwan in Be Strong Geum Soon but it’s over a 100 episodes long so I’m not going to touch it. 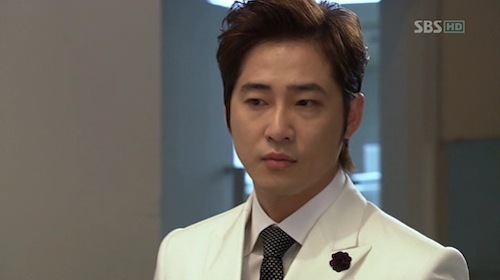 Re your issue with Kang Ji Hwan’s perm in Hong Gil Dong, I can’t argue with that. My Korean brother-in-law just got his hair permed and I still bite my tongue not to say anything bad every time he and my sister comes by to visit us. I found Hong Gil Dong to be partly entertaining, I actually watched 3/4 of the series and stopped only when it turned uncharacteristically heavy towards the end. You guys should try Be Strong Geum Soon. You get 100+ episodes of KJH! 100 eps is daunting but at least they are only 30min eps. Thanks, Kristal! 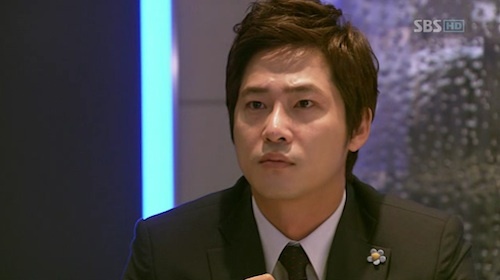 Although… I’m not sure that my, eh, positive impression of KJH would be strong enough for Be Strong, Geum Soon’s 100+ episodes. Let’s see how I feel about him after Lie to Me. Hehe.